The girls from 4th & 5th classes got to experience 'Foodoppi's Molecular Gastronomy Edible Science Show' in Le Chéile during Science week. 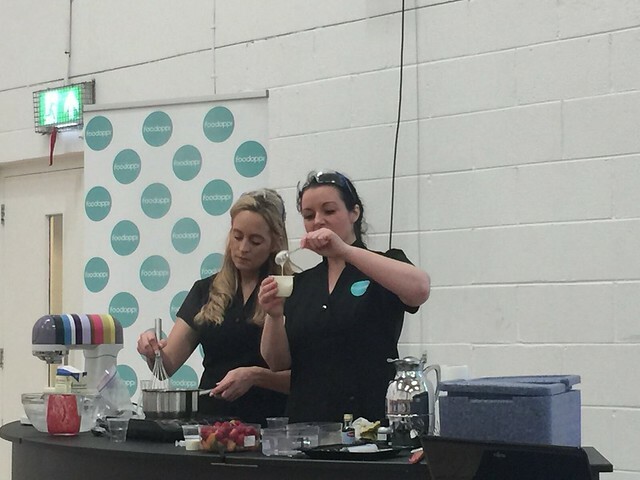 Foodoppi presented "Eat your Science" hosted by Celebrity Chef Louise Lennox and Food Scientist Aisling Larkin. The exciting, fast paced science and food show gave the children an opportunity to see food become experiments they could eat. It also enabled the children to explore chemical reactions and physical changes of food. unlocking the science secrets, amazing their eyes and tastebuds! A traditional fruit salad was redesigned using the knowledge of hydrocolloids and the world of renowned molecular gastronomy techniques to make fruit spaghetti, yogurt spheres and cook with one of the coldest liquids on the planet, liquid nitrogen. The girls had an amazing time, getting to explore food, flavour and science! Click on the image below to view more photographs of the workshop..